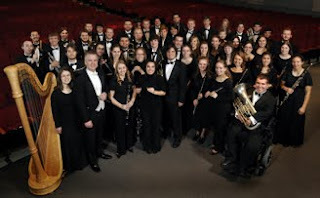 The acclaimed Whitworth Wind Symphony will perform in venues throughout Oregon and Washington March 20-27 during its spring 2010 concert tour. The group tours the Western United States every other year. During the 2010 tour, the Wind Symphony, conducted by director Richard Strauch, will perform selections including Kenneth Hesketh's "Masque"; "Lux Aurumque" by Eric Whitacre; Gustav Holst's "First Suite in E-Flat"; Dana Wilson's "Dance of the New World"; "Serenade" by Richard Strauss; "Gloriosa" by Yasuhide Ito; and "Funicili-Funicula Rhapsody" by Luigi Denza and Yo Goto. Information follows for each concert location; for additional information, please call (509) 777-3280. The performances are free and open to the public; a free-will offering will be taken at each concert. Saturday, March 20, 7 p.m.
Monday, March 22, 7 p.m.
Tuesday, March 23, 7 p.m.
Thursday, March 25, 7 p.m.
Friday, March 26, 7 p.m.
Saturday, March 27, 7 p.m. The Whitworth Wind Symphony is a select, auditioned 50-member ensemble comprising outstanding wind, brass and percussion student-musicians. The wind symphony tours every other year; recent tours have taken the ensemble to Seattle, San Francisco and Hawaii. In 2008, the ensemble recorded its fourth CD, Sea to Shining Sea. Past albums include Ride (2004), New Century Dawn (2000), and In the Spring (1998). The CDs are available for purchase in the music office and at the Whitworth University Bookstore. Located in Spokane, Wash., Whitworth is a private liberal arts university affiliated with the Presbyterian Church (USA). The college enrolls 2,700 students in more than 55 undergraduate and graduate programs. Joan Lack or Loree Swegle, music department program assistants, Whitworth University, (509) 777-3280 or jlack@whitworth.eduor lswegle@whitworth.edu.